What happened to empathy and solidarity when it comes to refugees? Europe is not doing its share for the refugees. 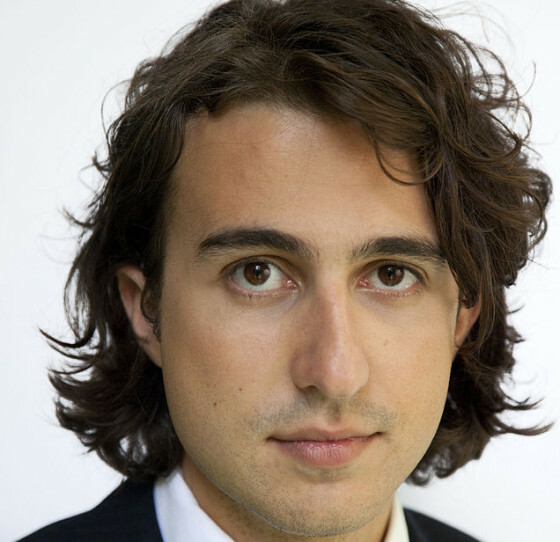 And by not taking control of the flight routes, it is also giving people smugglers free reign, writes GroenLinks leader Jesse Klaver. At the beginning of this year I became a father again. I enjoyed the couple of weeks’ leave granted to new fathers and during that time politics was put firmly on the back burner. When I went back to work I wondered if the job was really worth missing so much of home life for. The feeling didn’t last very long. I realised that the refugee debate had taken on a different, much harsher tone. What happened to empathy? To solidarity? Even politicians ideologically close to GroenLinks are saying we should stem the tide of refugees. We have a euro commissioner who is juggling figures, a finance minister speculating about the sustainability of the welfare state and a prime minister who is saying that the number has to come down to zero. Things were very different six months ago. Remember this? Blue trousers, red top, dark hair, there he was, lying on his tummy, washed up on the beach. I don’t even have to tell you his name. We all felt the grief of the parents and tried to imagine the despair of how it would be if it were us sitting in a boat with our children. This empathy and solidarity was felt across the board, independent of political preference or background. Government leaders agreed: this cannot be allowed to happen in Europe. Six months on, we no longer talk about him, or the despair of people on the run from barrel bombs and barbarian Jihadis. We talk about our own problems. We’re talking about ‘fewer, fewer, fewer’ refugees. It’s all we’re hearing at the moment. I want to change that. It’s wrong and it’s not what the Netherlands is about. And it’s not realistic. The war in Syria is becoming ever more complex. Lebanon is increasingly unstable. Civil war looms in eastern Turkey, while thousands upon thousands of Syrians are heading for the Turkish border to escape Russian bombs and the violence of Assad. To say there will be fewer refugees is to tell a lie and will only increase the chaos. Obstructing flight routes only helps the people smugglers who increase their prices, while the refugees take ever greater risks to secure a place in a rickety boat. Ask yourself: how great must the needs of these people be if they are willing to take such risks? Let’s be honest here. The refugee camps in the region are a woeful excuse for not doing what we ought to do. Europe, with half a billion people, is accommodating a million refugees. Lebanon, which only has four million inhabitants, is doing the same. The pressure on the region is horrendous. For five years now people have been living in these camps with nothing to look forward to. The first thing we have to do is to invest, in improving living conditions, in making sure the adults get work permits and the children get to school. And let’s see things as they are. We must count on the same number of refugees coming to Europe next year. It is no use building walls as long as people are desperate. Ruthless people smugglers will help them find the smallest of holes. We have to work on a legal route. We will make it easier, not harder, for refugees to come to Europe. People smugglers can only be combated if we, to put it bluntly, move into their territory and take over the merchandise. We can do that if we work together. International aid organisations have been saying this for years. The United Nations’ refugee organisation UNCHR has a relocation programme for the camps in Jordan and Lebanon. We must ask the UNHCR to identify, register and select people in Jordan, Lebanon and Turkey. The UNHCR has already requested 460,000 relocation places. Let’s give them those places. At the moment, the EU is only offering 11,000 a year at a time when a million people are being forced into choosing the dangerous sea route. We have to redress the balance. Then people won’t have to get into boats, or be turned back. All this costs money. What is needed are big investments, and cooperation with countries like the US, Canada, Australia and countries in the region such as the Gulf states. That is the only way to gain control over who comes here and how they come here. We can filter out the young men who hope to come here from other North African countries such as Morocco and Tunisia. The people we need to be helping are refugees, most from Syria and a small number from Iraq and Eritrea. It is impossible to promise the number of refugees will be brought down as long as there is a civil war in Syria. What we can do is improve the way aid is organised. There will be tension, including in this country. There will be individuals who misbehave, both refugees and Dutch citizens. They have to be caught and punished. It will be difficult for the refugees to integrate. They have to learn the language, find jobs and abide by the rules of our society. It will be expensive. It will be difficult. It may be hell in their home countries but we can’t promise these people it will be heaven here. But I see thousands of people offering their services for free to help them. A majority of people are worried but we can do this. That silent majority needs to find its voice. And if things are difficult all we need to think of is that little boy in the blue trousers and the red top on the beach. That is our motivation.